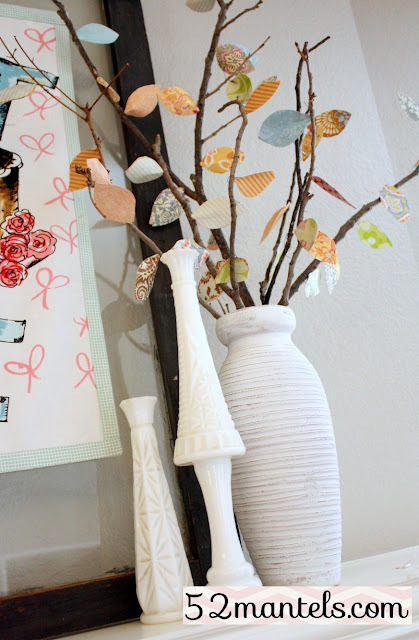 Happy Mantel Monday, friends! 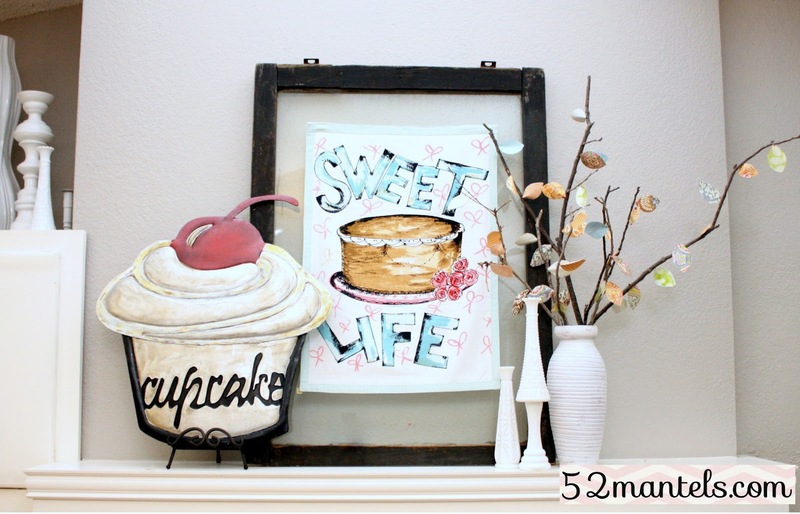 Today's mantel is pretty "sweet", don't you think? (ha ha ha). I raided my kitchen decor to put it together. You know I have to rummage around my house every week to come up with a new mantelscape! Let's call this one my Ode to Cake. These paper leaves are old news, I know. They've shown up on a handful of mantels and I won't even try to deny it. This metal cupcake was a lucky $12.99 Marshalls find a few years back. Cute, huh? 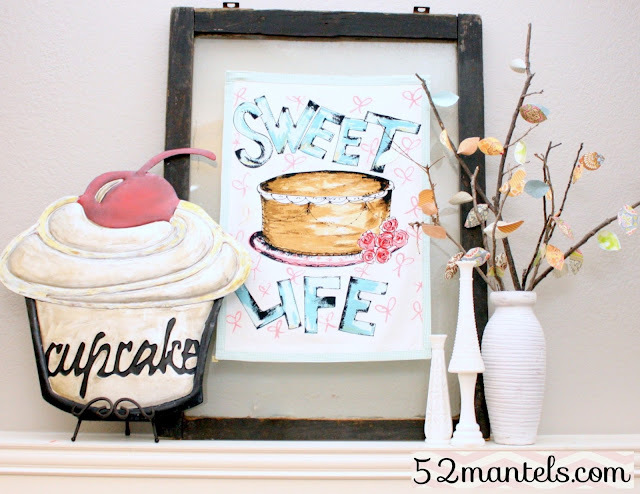 And, there you have it...a Sweet Mantel for any ol' day of the week, any ol' season of the year. Cake's never out of season, after all. Super cute! 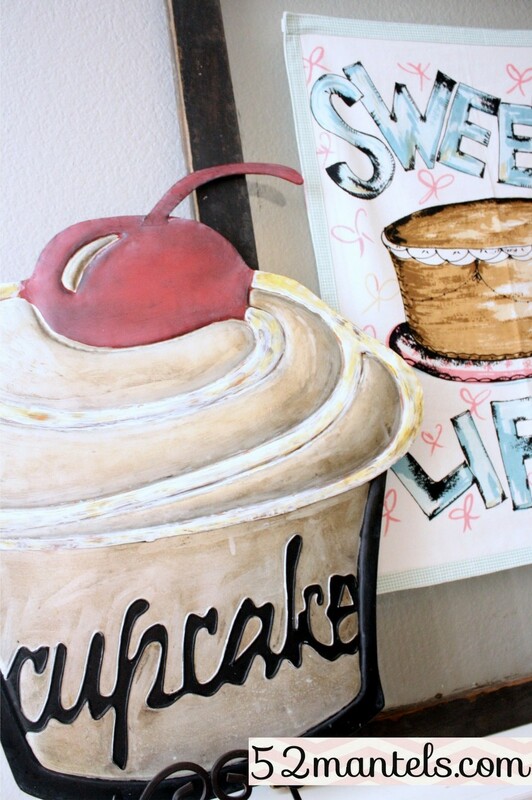 I love the left side cupcake piece! Oh...that is sweet! Love it! Cute as a cupcake, lol! And, by the way, I think that cupcake is too cute! This is super cute, but would probably make me hungry for sweet stuff! Great birthday mantle, too! Love the cupcakes! Hey thats a cute one! Emily, this mantel is so fun! LOVE this!